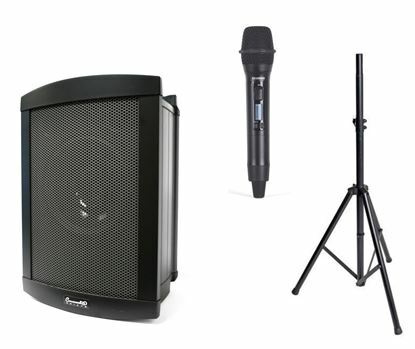 Portable PA systems are our range of compact, battery-powered public address systems. They are designed to give the user extended battery life for use on location and to recharge the battery in between engagements. Marriage celebrants and other presenters, particularly on location at parks, the beach, memorial sites etc. 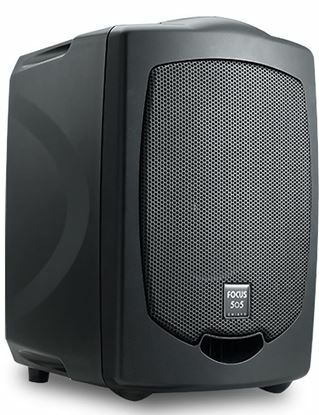 Mega Music have put together a selection of portable PA systems from trusted brands including Chiayo, Mipro, LD and Yamaha. Feel free to browse here for a package that suits you or come into a Mega Music store at Myaree or Wangara. 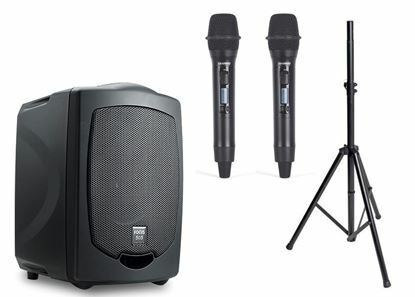 This Chiayo Challenger PACK 2 includes TWO hand held wireless microphones and speaker stand. Ideal for schools and situations where you need to get attention. 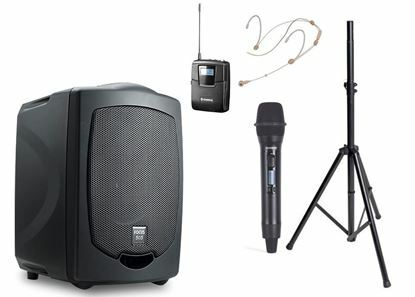 This Chiayo Challenger PACK 3 includes a hand held wireless microphone + headset microphone + body pack + speaker stand. Ideal for schools and situations where you need to get attention. 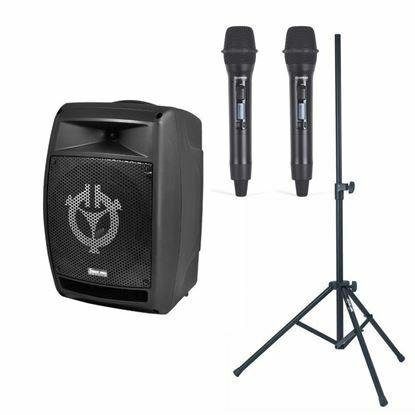 This Chiayo Challenger PACK 1 includes a hand held wireless microphone and speaker stand. Ideal for schools and situations where you need to get attention. The Chiayo Coach is a battery operated PA system that slings over your shoulder and will project your voice loudly and clearly across a large space with its extra power. This configuration includes a hand-held dynamic microphone and cable. Up to 12 hours battery life! The Chiayo Coach 400 is a battery operated PA system that slings over your shoulder and will project your voice loudly and clearly across a large space with its extra power. This configuration includes a hand-held dynamic microphone and cable PLUS MP3 USB 2.0 port with LCD screen for MP3 music file playback. Up to 12 hours battery life! The Chiayo Coach 400 is a battery operated PA system that slings over your shoulder and will project your voice loudly and clearly across a large space with its extra power. This configuration includes the MP3 USB 2.0 port with LCD screen for MP3 music file playback. Up to 12 hours battery life! This Portable PA PACK 1 includes a handheld microphone and speaker stand. The celebrant's choice! 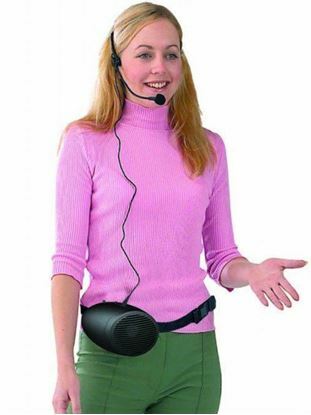 This Portable PA PACK 2 includes TWO handheld wireless microphones + speaker stand. This Portable PA PACK 3 includes a handheld wireless microphone + headset microphone + wireless body pack + speaker stand. 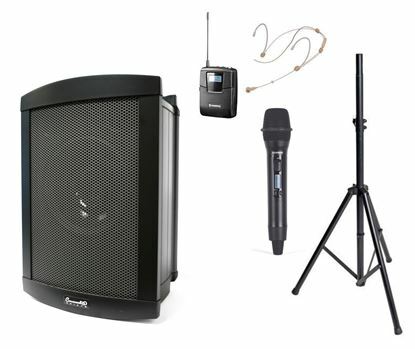 This Portable PA PACK 1 includes a handheld wireless microphone + speaker stand. 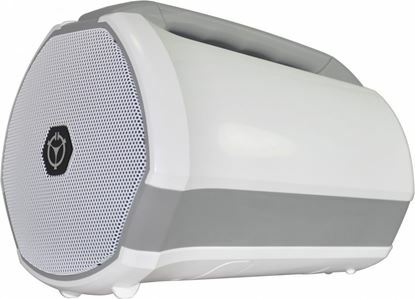 The Chiayo iTalk is a battery operated PA system that will project your voice loudly and clearly across the room - perfect for larger classrooms. You will save your voice too - no need to yell! 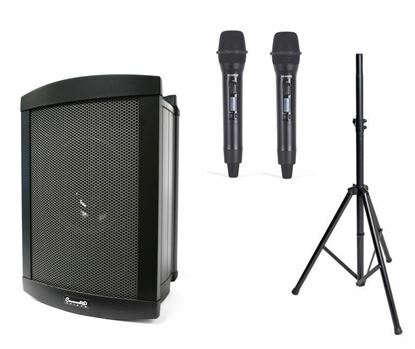 This Stage Man PA PACK 2 includes TWO handheld wireless microphones and Portable PA stand.